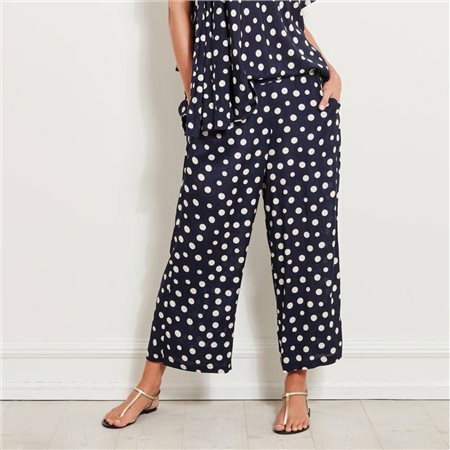 Bring out your personal style with these fabulous polka dot trousers, which have a loose, fluid and feminine design. The slightly crinkled viscose feels soft to wear and the wide smocking at the back of the waist make the trousers fit snugly at the back – without feeling at all tight. Style with a cream-coloured top to keep the look simple and stylish.